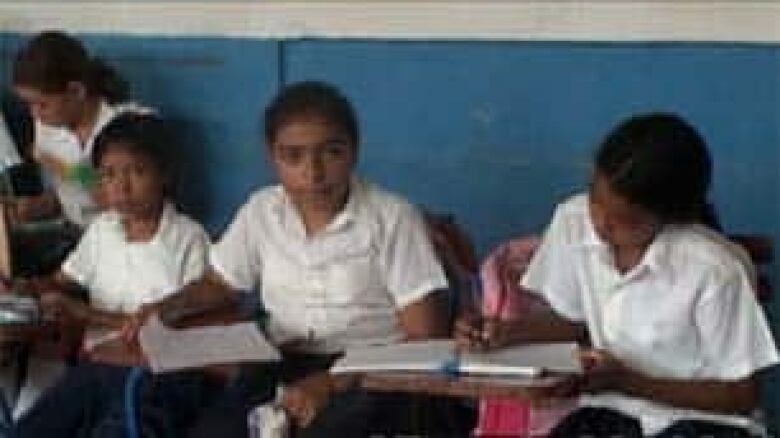 Thousands of Nicaraguan children have been given a chance to go to school thanks to their growing relationship with a small eastern Ontario community. 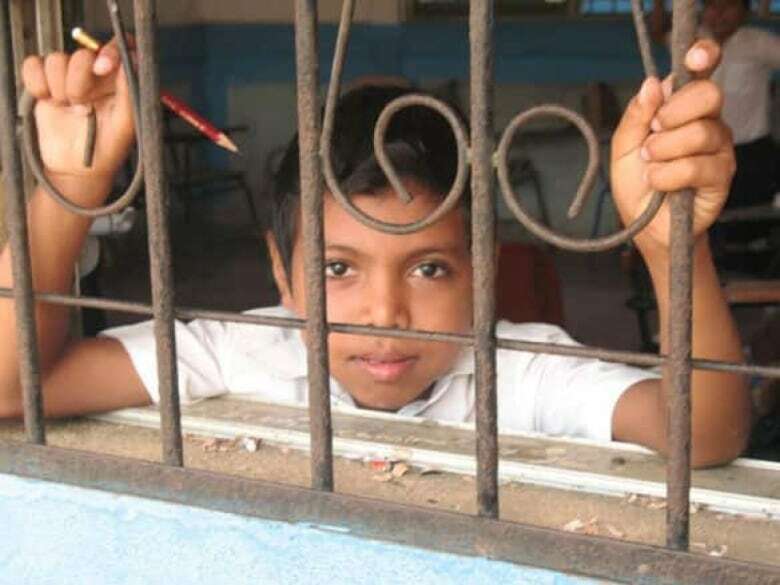 Since 2006, the people of Almonte, Ont., about 50 kilometres west of Ottawa, have built 17 schools in Nicaragua through a local non-profit group called SchoolBox. 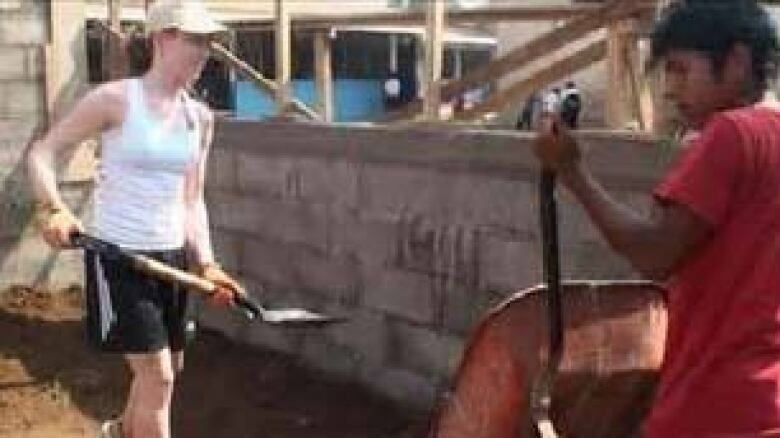 The most recent school was constructed in the Nicaraguan city of Leone this month by a group of Almonte teenagers — some of the hundreds of people who have journeyed from their town of 5,000 to spend their holidays digging trenches and piling rocks alongside local workers in sauna-like heat. 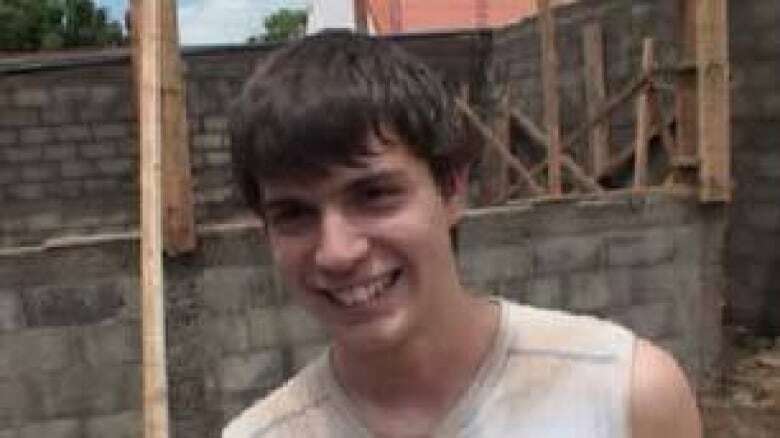 Nathan Rosevear, 16, stabbed his shovel into a slowly deepening ditch, sweating as he swung small clods of dirt away. Rebar was to be planted in the completed trench to reinforce the cinder block walls of the new school, which is slated to welcome its first students in September. Rosevear said he's talked to a lot of the local kids about what they want to be when they grow up. They hope to become doctors or police officers — "stuff that you need a lot of training for," he said. "Building a school, education for these kids is really important." But education is not easy to access in the second-poorest nation in the Western Hemisphere, after Haiti. Three-quarters of the population lives on less than $2 a day, said SchoolBox founder Tom Affleck. In the impoverished neighbourhood where the school was being built, sewage and garbage trickle through the streets between homes made of tin and plastic, and half the local children don't finish Grade 5. Melvin Holancio, the son of a single mother with 10 children, dropped out of school in Grade 5 to work at a corner store. 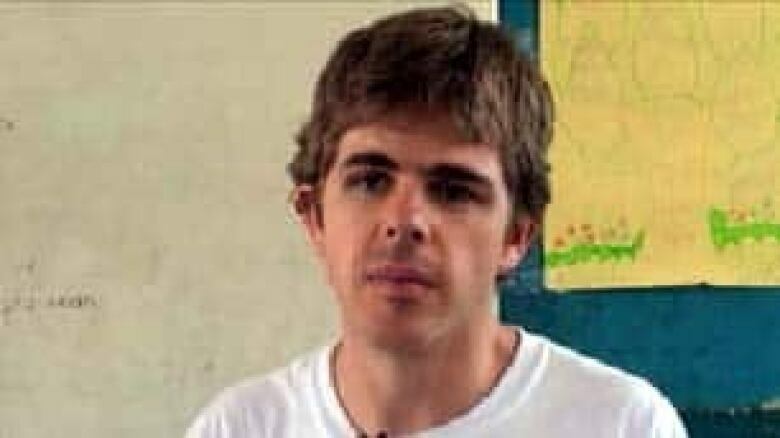 "I didn't have the money to pay for a school uniform or to buy a school bag or notebooks," he told CBC News in Spanish. "And I just wasn't able to keep going to school without these materials." This year at age 14, he managed to return to school with the help of SchoolBox, which has provided him with books, a new backpack and even shoes to wear to school. He hopes to become a civil engineer, he said, and build more schools for SchoolBox. Over the past few years, SchoolBox has bought school supplies, paid teachers' salaries, and even started sports and dental hygiene programs with hundreds of thousands of dollars in donations from the people of Almonte, said Affleck. Affleck, 32, started SchoolBox four years ago after spending some time living at a coffee farm in northern Nicaragua. While there, he happened to give a notebook and a pencil to a little girl. At that point, her father came around the corner of their shack, which was made of boards and plastic. "His face just lit up," Affleck recalled. "He looked at her and he looked at me. And he just said, 'Now you've got this notebook, you can go to school this year.'" Affleck said that's when he realized how little was stopping the local children from getting an education. "And imagine what we could do if we started giving notebooks and pencils to a lot of kids!" Affleck went back home to Almonte and started raising money. He convinced his friends and family to go to Nicaragua, and they came back full of excitement and enthusiasm that spread through the community. "We had kids who were giving their allowances, elderly people on fixed incomes sharing it with the children down here," he said. He can't imagine having started Schoolbox without the people of Almonte, he added. "Because they're the ones who've carried it." Rosevear and about a dozen other members of his youth group at St. Paul's Church in Almonte spent a full year holding car washes and bake sales and cutting grass to raise money. They collected a little more than $40,000 to pay for their trip to Nicaragua. "It's been really fun, actually," said Andy Bassett, who was heaving large rocks into a wheelbarrow while most of his friends were at home or in Florida "just kinda lazin' around" during their winter break. He was glad to be in Nicaragua doing hard labour instead, he said, and feels it's not just the Nicaraguan schoolchildren who have benefited. "We're here, and we're building a school. It feels like we're actually doing something, and we're actually …getting something out of March Break."